This essay was originally published at Neo-Paganism.com. 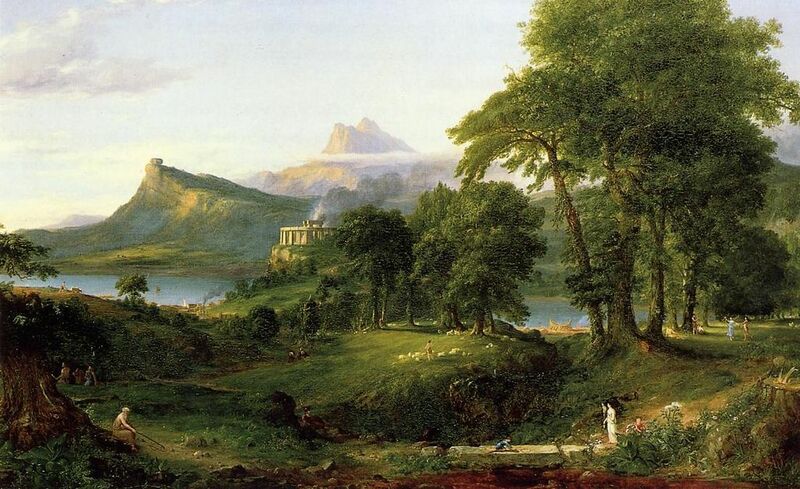 Nature Religion in the United States begins with the Transcendentalists in mid-19th century New England, most notably with Ralph Waldo Emerson and Henry David Thoreau. Both Emerson and Thoreau were early conservationists, promoting the preservation of threatened forests. Emerson’s call for “an original relation to the universe” found its way into Neo-Paganism with its distrust of tradition and emphasis on the authority of individual experience, as well as the focus on reconnecting with nature. Thoreau is best remembered for his two years spent living in a small cabin on the shore of Walden Pond, which he described in his 1854 book, Walden. 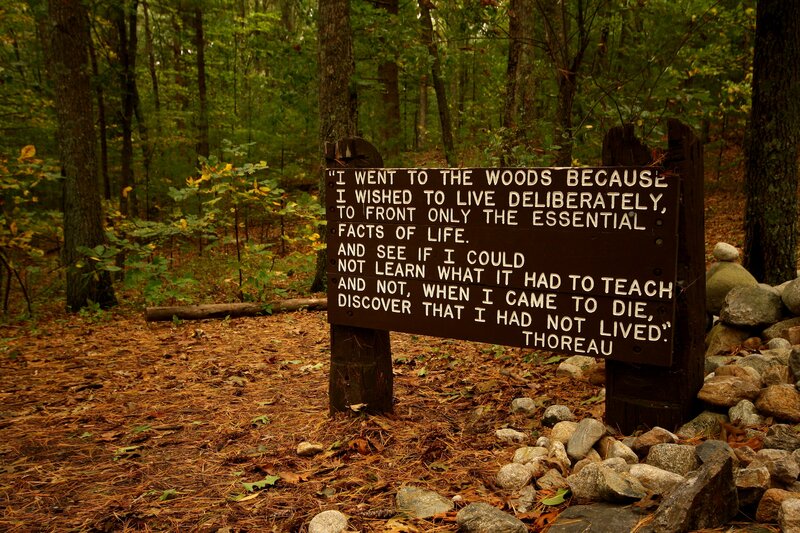 “I went to the woods because I wished to live deliberately,” wrote Thoreau, “to front only the essential facts of life, and see if I could not learn what it had to teach, and not, when I came to die, discover that I had not lived.” Thoreau had a passion and a talent for careful observation of natural phenomena which is reflected in his writing. His experiment in simple living would later help inspire the back-to-the-land movement which was part of the broader Counterculture of the 1960’s and 1970’s. The Transcendentalists believed that studying nature was a way to comprehend the divine, another idea which found its way into contemporary Neo-Paganism. In response to the religious traditionalism of their day, the Transcendentalists argued that the human mind and the natural world were all that was needed for genuine spiritual experience. Nature was seen as a source of revelation available to all. “A more subtle and severe criticism might suggest that some dislocation has befallen the race; that men are off their centre; that multitudes of men do not live with Nature, but behold it as exiles. People go out to look at sunrises and sunsets who do not recognize their own quietly and happily, but know that it is foreign to them. As they do by books, so they quote the sunset and the star, and do not make them theirs. In some ways, the “Nature” of the Transcendentalists was more abstract or symbolic than contemporary Neo-Pagans might like to think. In fact, it could be argued that the Transcendentalist movement was more self-centered, than earth-centered; Nature was seen by Transcendentalists as merely the context for self-exploration or a resource for human growth, a means to spiritual enlightenment rather than the end itself. Neo-Paganism still struggles with this issue in some ways, in its effort to reconcile its exoteric earth-centered principles with the esoteric Self-centered practices which it inherited from Wicca. In any case, the Transcendentalists played an important role in drawing attention of the wider American culture toward a concern for nature, inspiring generations of conservationists and environmentalists to come, and heralding the rise of Neo-Paganism as a nature religion. John Halstead (aka “Johnny Humanist”) is a former Mormon, now eclectic Neo-Pagan with an interest in ritual as an art form, ecopsychology, theopoetics, Jungian theory, and the idea of death as an act of creation (palingenesis). He is the author of the blogs, The Allergic Pagan at Patheos and Dreaming the Myth Onward at Pagan Square. He is also the author of the website Neo-Paganism.org. John currently serves at the managing editor at HP. See John Halstead’s other posts. Reblogged this on Sable Aradia, Priestess & Witch. Couldn’t have said it better myself. You have hit all the major points I have written on the topic of transcendentalism and it contribution to neo-paganism, including criticism of their self-centric approach to nature as a symbol which is often reflected in forms of neo-paganism, new-age thought, and spiritual environmentalism today. For me, their largest contribution to my own spirituality is through a practice of mindful walking contemplation. Thanks. Can you point me to a source for the Leaves of Grass churches that you were talking about. I think I would find that really fascinating. This is all very enlightening. Not to beleaguer you with requests, but can you say where I might find instruction on the “mindful walking” practice?